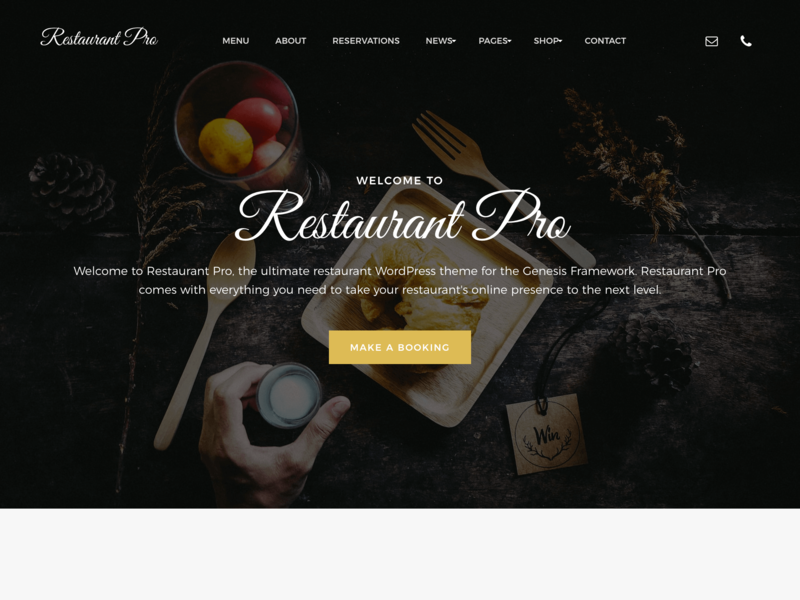 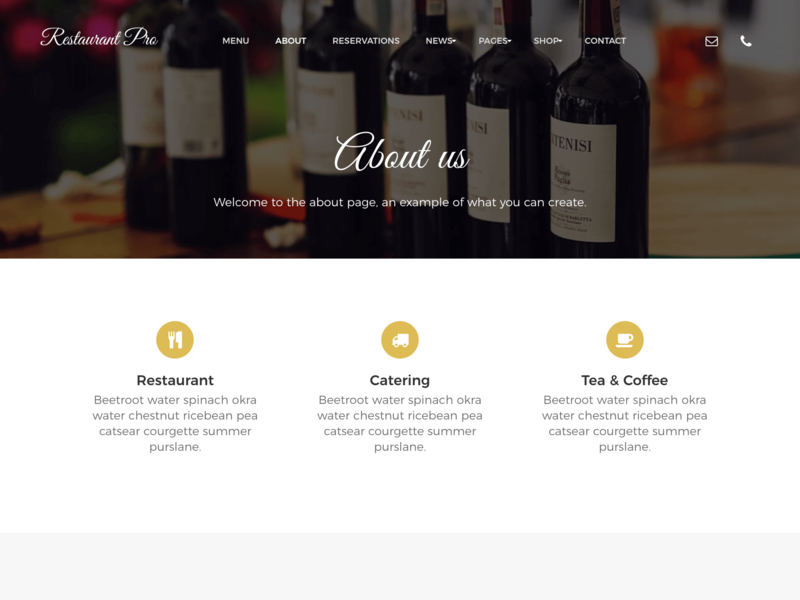 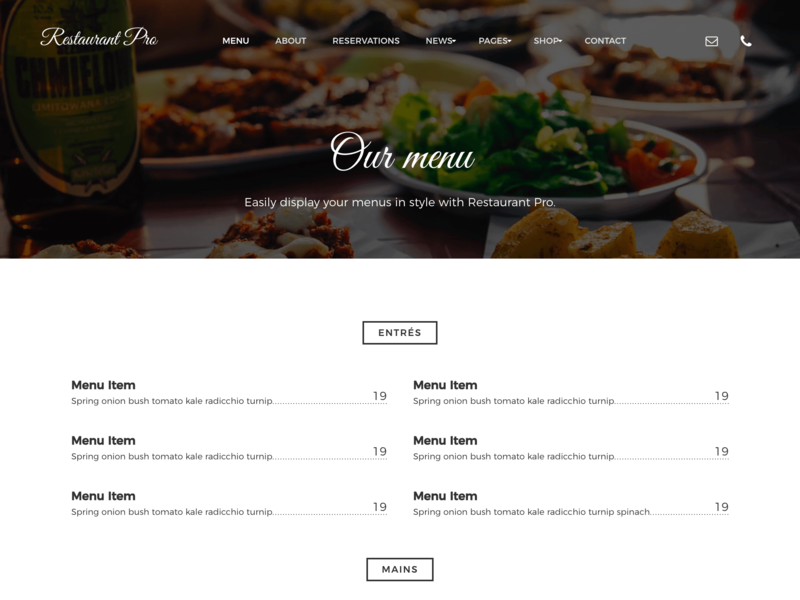 Restaurant Pro comes with everything you need to boost your restaurant's online presence. 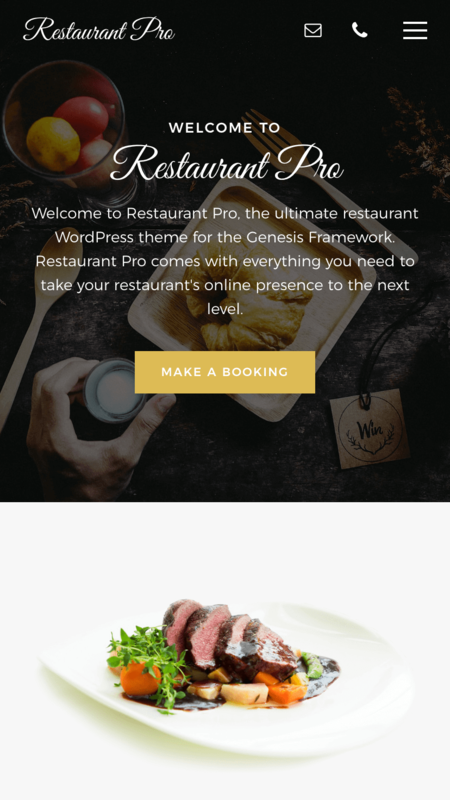 Easily create custom food and drink menus, popup booking forms, local business schema microdata, live Instagram feeds, image galleries, Google Maps, WooCommerce products and more. 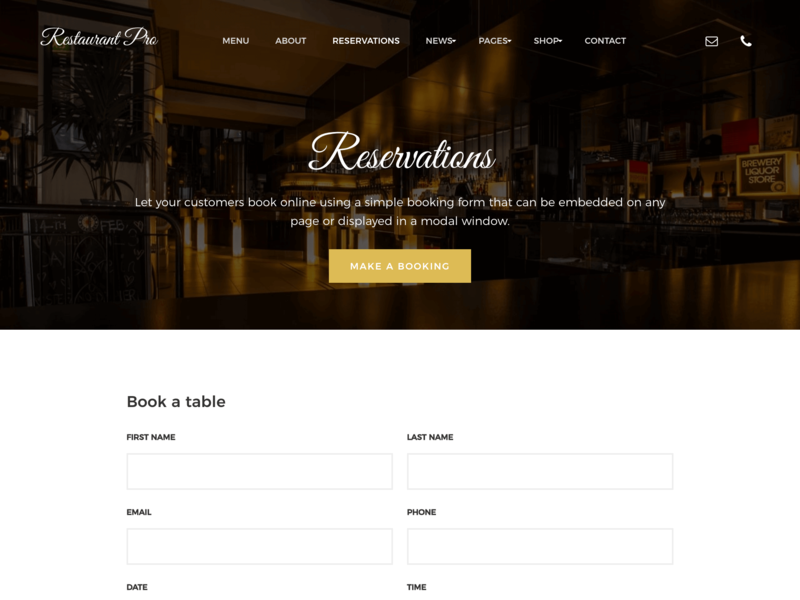 Built on the rock-solid Genesis Framework for industry leading security, performance and SEO.